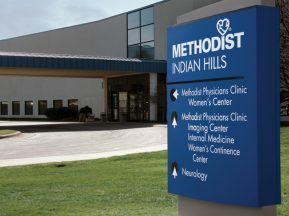 The newly built, 55,000 square foot, Washburn Center for Children is the state’s leading children’s mental health center. The Washburn Center serves children from birth to age 18 caring for a wide variety of needs such as: attention deficit disorders, trauma, behavioral problems, anxiety, learning difficulties and depression. The Washburn Center believes a child’s mental health is as important as their physical health. This non-profit is dedicated to helping children develop the skills to be successful at home, in school and in the community. The Washburn Center partnered with ASI to design a special donor wall. The concept was inspired by a child’s artwork, which was drawn for the center thanking them on behalf of the kids they serve. 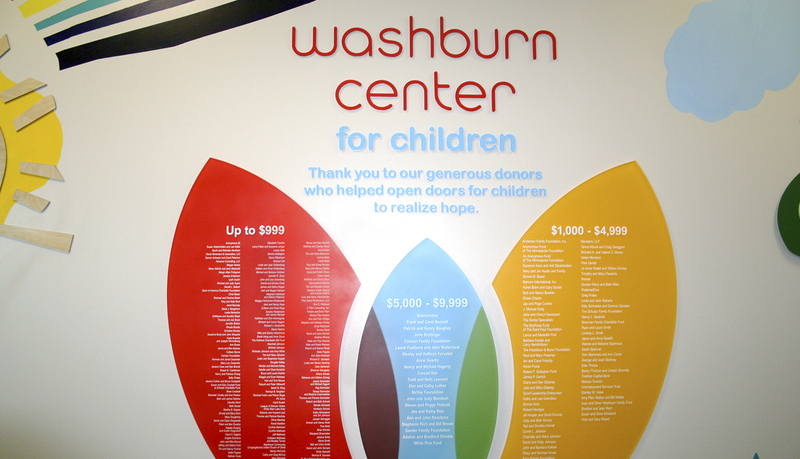 The Washburn Center for Children wanted to prominently recognize their donors in their new space. 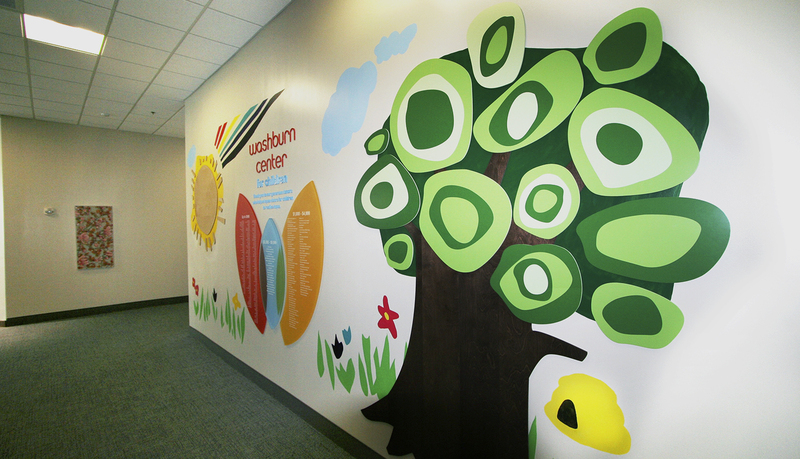 Inspired by a child’s artwork thanking the the Washburn Center, ASI designed a large scale donor wall that would bring together their vision by incorporating various materials and signage components. In addition, ASI enlisted a local artist to hand-paint specific elements to bring everything together into one beautiful donor wall. 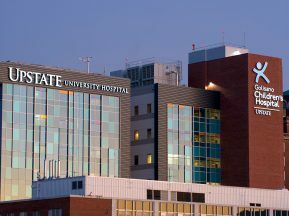 The donor wall incorporates natural elements of wood, imagery of sunshine, thriving flowers, and a strong luscious tree combined with a rainbow and blue sky. Together these convey the hope and vibrant energy of both the space and its talented team of professionals. 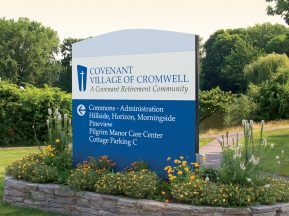 The donor wall includes a custom, hand-painted image by a local artist who created flowers, the glow of the sun, a rainbow reaching through the sky and the background to enhance the fullness of a tactile tree. ASI designers utilized stained wood for the center and outside of the painted sun. 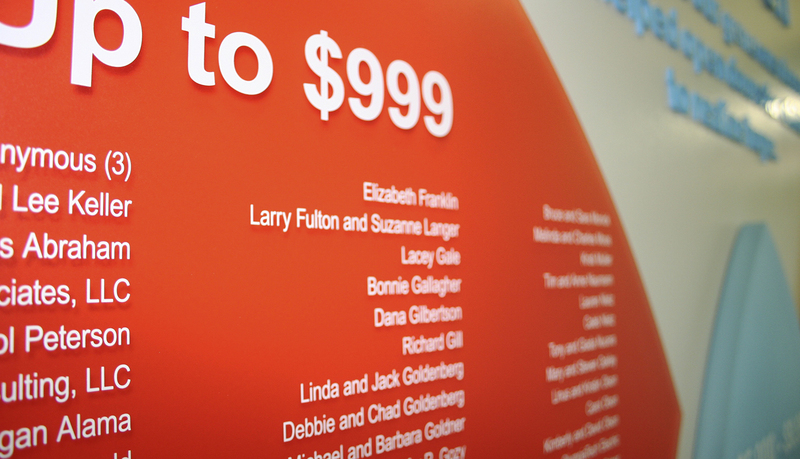 The logo was created on subsurface painted acrylic with surface screen-printed copy featuring the financial donors. 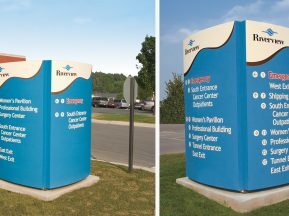 The Washburn Center for Children name was achieved through dimensional letters. 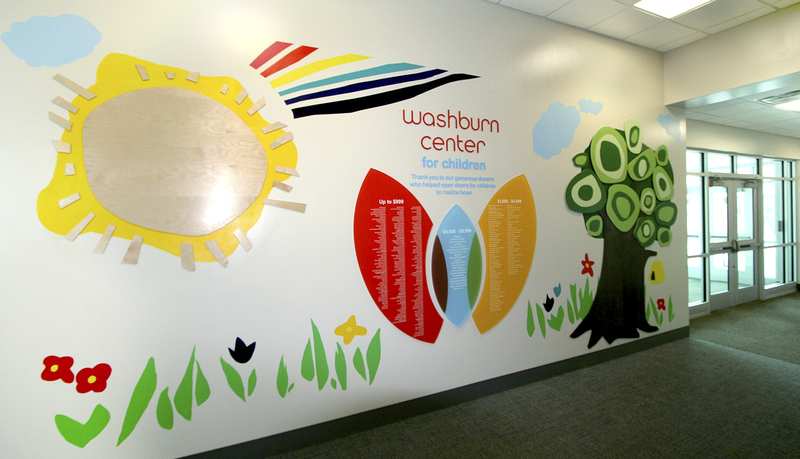 The end result was an eye-catching masterpiece that creates a positive energy to that space of the Washburn Center. Donor recognition can take shape in many different ways, and this is a perfect example of how a piece of inspiration such as a child’s artwork can be brought to life in a positive way and brighten the environment. A masterpiece that combined a child’s artwork and our logo to create a design that was absolutely beautiful.